In an official statement first obtained by Breitbart Texas, the National Border Patrol Council (NBPC) endorsed Donald Trump for President of the United States. The unusually bold statement comes just days after a senior policy adviser for Trump made clear that future U.S. border security policy would be largely determined by the men and women of the U.S. Border Patrol who are actual agents protecting the border and not by politically-appointed bureaucrats in the Border Patrol or its parent agency, Customs and Border Protection (CBP), if Trump is elected. 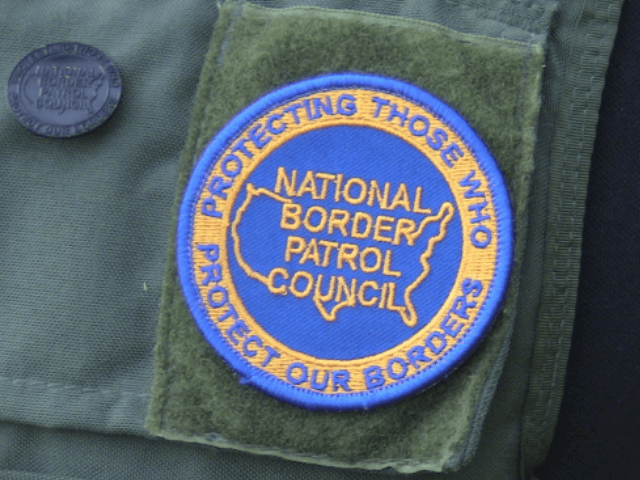 The NBPC has been the only voice for nearly 17,000 Border Patrol agents. The organization has served as the only advocacy and defense mechanism for the needs and interests of agents against overwhelming attacks from political groups and special interests opposing a secured border. As an organization we expect our elected officials to aggressively pursue the interests of the country. America has already tried a young, articulate freshman senator who never created a job as an attorney and under whose watch criminal cartels have been given the freest border reign ever known. Unlike his opponents, Donald Trump is not a career politician, he is an outsider who has created thousands of jobs, pledged to bring about aggressive pro-American change, and who is completely independent of special interests. We don’t need a person who has the perfect Washington-approved tone, and certainly NOT another establishment politician in the W.H. Indeed, the fact that people are more upset about Mr. Trump’s tone than about the destruction wrought by open borders tells us everything we need to know about the corruption in Washington. We need a person in the White House who doesn’t fear the media, who doesn’t embrace political correctness, who doesn’t need the money, who is familiar with success, who won’t bow to foreign dictators, who is pro-military and values law enforcement, and who is angry for America and NOT subservient to the interests of other nations. Donald Trump is such a man. Mr. Trump is as bold and outspoken as other world leaders who put their country’s interests ahead of all else. Americans deserve to benefit for once instead of always paying and apologizing. Our current political establishment has bled this country dry, sees their power evaporating, and isn’t listening to voters who do all the heavy lifting. Trump is opposed by the established powers specifically because they know he is the only candidate who actually threatens the established powers that have betrayed this country. You can judge a man by his opponents: all the people responsible for the problems plaguing America today are opposing Mr. Trump. It is those without political power – the workers, the law enforcement officers, the everyday families and community members – who are supporting Mr. Trump. Mr. Trump will take on special interests and embrace the ideas of rank-and-file Border Patrol agents rather than listening to the management yes-men who say whatever they are programmed to say. This is a refreshing change that we have not seen before – and may never see again. Mr. Trump is correct when he says immigration wouldn’t be at the forefront of this presidential campaign if months ago he hadn’t made some bold and necessary statements. And when the withering media storm ensued he did not back down one iota. That tells you the measure of a man. When the so-called experts said he was too brash and outspoken, and that he would fade away, they were proven wrong. We are confident they will be proven wrong again in November when he becomes President of the United States. There is no greater physical or economic threat to Americans today than our open border. And there is no greater political threat than the control of Washington by special interests. In view of these threats, the National Border Patrol Council endorses Donald J. Trump for President – and asks the American people to support Mr. Trump in his mission to finally secure the border of the United States of America, before it is too late.